I’m back on the corner of the couch in my office, going through my editor’s notes and copyedits–all of which need to be completed by January 15. See ya in a week! First Draft Complete. Level Up. So, this happened last week. It’s currently in the hands of my crack editor at Dutton, and I look forward to us going through it together. Now off to clear photos. Be good to each other. It’s been several months now since I unveiled the subject of my current project, Dr. Seuss. Since that time, papers have been signed and we’ve made things officially official (the formal announcement should be arriving any day now), and I’m very excited about spending the next year not only with my subject, but with my editor, John Parsley, who I worked with on George Lucas. It’s doubly thrilling, in fact, because I was able to follow him from the offices of the fine folks at Little, Brown (where we worked on George Lucas) over to Dutton, where John now serves as Editor-in-Chief. It’s a good place to be; Dr. Seuss was a staple at Random House (which now owns Dutton) for nearly his entire career (it’s where he also established Beginner Books), so it seems only fitting to be working on his biography under the larger roof of Penguin Random House. I’m delighted to be there. I’ve started my research–but first thing’s first: I had to stock up my library shelves with All Things Seuss. Mostly, I ordered books in large bunches from Amazon and other booksellers, which really threw off the way Amazon generates its recommendations. “BASED ON YOUR ORDER HISTORY,” it tells me, “YOU MAY LIKE GO, DOG, GO!” Which, I suppose, is certainly true. But not everything Seuss wrote or drew is in print and easily available; I had to scour eBay, for instance, for The Seven Lady Godivas (a book Seuss called his “greatest failure . . . it was all full of naked women, and I can’t draw convincing naked women”). eBay was also my go-to to procure copies of two small humor books Seuss illustrated (but didn’t write) back in the early 1930s called Boners (by Those Who Pulled Them! ), and its sequel titled (wait for it . . . ), More Boners. I know, I know . . . the jokes just write themselves. My next task was to start gathering and reading as many existing books on Seuss as I could find . . . and really, there aren’t many (some terrific analyses of his work, but only one real bio, dating to 1995). Beyond that, one of my first big dives was into newspaper and magazines archives — mainly just New York Times, Washington Post, Los Angeles Times and the Chicago Tribune, as well as some selected magazines like Saturday Evening Post and Life — for contemporary accounts, interviews, reviews, cartoons . . . pretty much anything I can find. Even in a limited scope like this, archival research is one of my favorite parts of the project. Then, as I always do — because I’m terribly analog — I print everything out, three-hole punch it, and file it (for the most part) chronologically in binders. Naturally, new binders get added as things proceed, and I have to change some of them out with larger versions as I stuff them full. But this is how I start developing one of my most crucial documents: a timeline of the entire life that I can refer to as I write, and make sure everything is in order. The first binders. Titles change and binders expand as the research proceeds, but — for me, at least — it’s a good way to keep everything organized. At the moment, I’m deep into research on the years from 1922, when Seuss* entered Dartmouth, to the end of World War II, when he returned to the United States determined to write books that mattered. When I’m done here, I’ll work my way backwards to his childhood, which will be the perfect excuse to head for Springfield, Massachusetts, where I can walk the streets Seuss walked as a boy, scour the local archives, and visit the newly-opened Dr. Seuss Museum. * Yeah, I know his real name is Ted Geisel. For the moment, I’m simply referring to him by his pen name. Your Mountain Is Waiting…So Get on Your Way! Who do those crinkling, smiling eyes belong to? Why, none other than Theodor Seuss Geisel — the good Dr. Seuss, whose birthday just happens to be today. 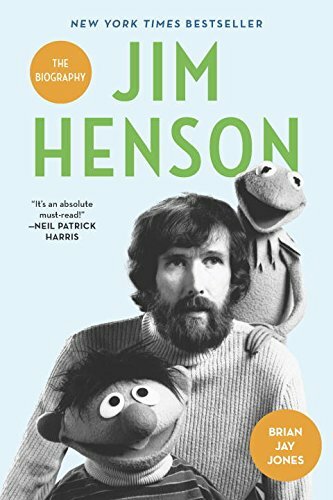 I’m SO thrilled to be working on the life of yet another wonderful, creative, inspiring iconic subject — and I’m just as happy, too, that I’ll be working with the same terrific team at Little, Brown that helped put the George Lucas bio in your hands. 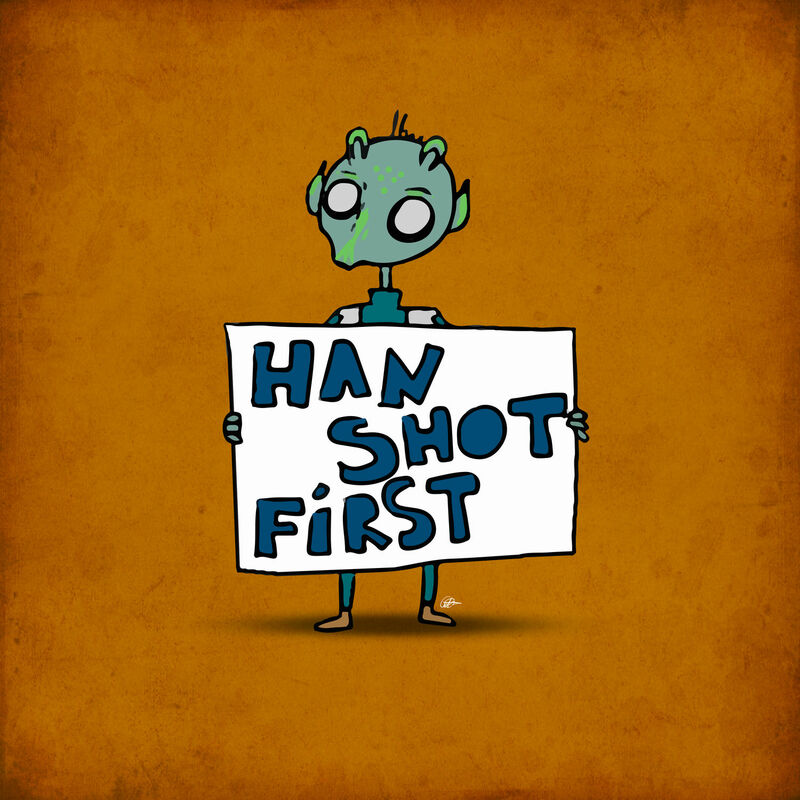 Since turning in the first draft of George Lucas back in March, the manuscript has been through the hands of my editor at Little, Brown, John Parsley, vetted by the legal department, and then given a rigorous copyediting. Now it’s landed back on my desk, where I’ve got until next week to finish it all up, answer any questions my editors might have, add any new material (Lucas Pulls His Museum From Chicago! ), make sure the endnotes are correct, and generally make any necessary tweaks and revisions before sending it off to production. There’s a lot going on in the margins of an edited manuscript; the document is edited with Word’s ‘Track Changes’ function on so you can see every change to the draft and — one of my favorite parts — read the comments from the various editors where they ask whether a suggested edit works, seek clarification, or even just maintain a friendly running commentary, like a less sarcastic MST3K. And, of course, I can’t resist making my own comments as I go through it, either. And seriously, guys: editors and copyeditors are amazing. They not only edit for clarity, for instance, but they also fact-check things, remind you when you’ve used a quote twice, or somehow manage to clean up and make better sense of hundreds and hundreds of endnotes. I’m always impressed. And now, back to it. I’ve gotta get this done, if you’re gonna have it in your hands on December 6. What I Told You Was NOT True, Not Even From a Certain Point of View. Posted on April 11, 2016 | Comments Off on What I Told You Was NOT True, Not Even From a Certain Point of View. I should also note that while the current listing says the book will be 320 pages, I’m guessing that, given the current length of the manuscript, the final book will be longer than that. Which is probably why it’s got a thirty dollar price tag. Oh, and did I tell you? 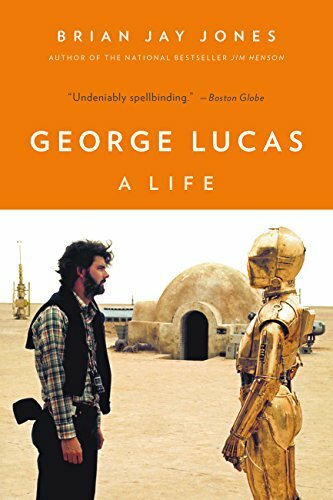 George Lucas is now available to pre-order from several booksellers. And with the corrected pub date, you now know it’ll arrive in plenty of time for Christmas. Click here to pre-order from Barnes & Noble. (Nook only at the moment). * Serendipitously, perhaps, December 6 was the pub date for A History of New York, the first book published by Washington Irving in 1809. Comments Off on What I Told You Was NOT True, Not Even From a Certain Point of View. Apparently, this has been up on the Hachette Books page for a bit, but I checked anyway to make certain it was okay for me to share this with you. I’ve actually had it for several months now, and I’ve been dying to show it to you, I think it’s so terrific. I should also offer the caveat that there may still be some minor tweaks made to the cover as we get closer to the publication date — which as of this morning is now Friday, December 16, 2016. It’s not available to pre-order just yet, but should be soon. I’ll let you know the moment I hear.